Take a look at the best selling mid-size sedans over the past – oh – decade or so, and you’ll find the Toyota Camry in the top ten list, year after year. 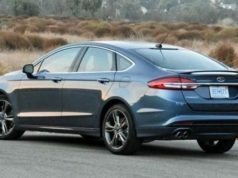 In 2015, for example, close to half a million went out the door in North America, placing the Camry ahead of the likes of the Honda Accord, Ford Fusion, and Hyundai Sonata. People like this car and continue to buy it in huge numbers. Not hard to see why. From the beginning, in 1982, Toyota has managed to build in a sense of driveability and user-friendliness that mainstream car buyers find hard to resist. Never a particularly fast automobile, the Camry has always been one of the most driver-friendly, and, in some cases, one of the most efficient. The Camry Hybrid, for example, is incredibly easy on gas and beloved by taxi drivers across the continent. I recently spent some time with the XSE version, and aside from one or two caveats, discovered to my surprise that this may be one of my favourite mid-size, mid-priced sedans. I looked forward to driving it every chance I got and grew to appreciate its unpretentious and accessible personality. Some specs. Power for the XSE is delivered by a 2.5 litre four cylinder mated to a six-speed automatic transmission. There is also a V6 version, but the autobox is the only choice here. Power for the four cylinder is 178 horsepower, with the V6 delivering an additional 90 hp. Fuel economy is 8.4 /100 km, combined rating, and the Camry will carry almost 65 litres of regular grade fuel. All things considered, I’d opt for the four cylinder version; it’s thriftier, cheaper, and perfectly appropriate for this kind of car. The XSE version is, I guess, the sporty model. It comes with tuned suspension, larger 18-inch wheels and tires, sequential shift mode with steering wheel-mounted paddles, and special interior trim. Aside from visuals, it’s essentially the same vehicle as the SE, but with a higher price tag and a few variances in terms of standard equipment. My tester also had a heated seat delete feature….that’s right: no heated seats, which are either standard kit or available on every other model in the Camry line-up. I don’t get this….why on earth would Toyota delete the heated seats on this model? It just doesn’t make any sense. How much money could they be saving here? A couple hundred bucks? The navi system and LED daytime running lights are also absent, which I can easily live without, but no heated seats in the depth of a Canadian winter? Ridiculous. Especially given this vehicle’s 30-large price tag. That aside, I still like the Camry a lot. Mainly, I guess, because it’s uncomplicated. There are no tortured ergonomics or undecipherable switchgear…..no multi command touch screen, no unnecessarily complex HVAC controls. Just get in and drive…..perfect for Luddites such as me. And not half-bad through the twisties. Despite its relatively modest output, the four-banger in the Camry is willing and anxious to please. Plenty of reserve power, effortless off-the-line snap and more than enough cruising torque. This isn’t the kind of car you’d take racing, and considerably less peppy than the V6, but for around-town schlepping and commuting, it ticks all the boxes. Decent elbow room as well. Trunk space is a purported 436 litres – or 15.4 cubic feet – which puts it near the top of its category in this department. Most importantly, there is room to move inside this car. 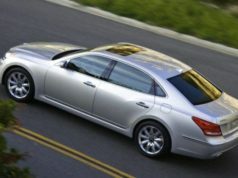 One of my biggest beefs with today’s breed of four-door sedan is that there isn’t enough interior head/leg/elbow room….The Hyundai Sonata and Mazda6 are two models afflicted with this shortcoming. I need room to move when I’m driving, and if I don’t find it, I’m moving on. Last but not least, the Camry has an outstanding dependability record….it’s not perfect, but over the years, Toyota has done its homework and, all things considered, you can slide behind the wheel and not have to worry about being stranded roadside. Consumer researcher, J.D. Power, for example, has consistently given the Camry its “among the best” rating for predicted reliability. Fuel Economy: 9.7 L /100 km (city); 6.9 L /100 km (hwy). 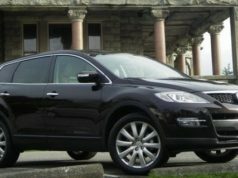 Alternatives: Hyundai Sonata, Honda Accord, Kia Optima, Mazda6, Ford Fusion, Nissan Altima, VW Passat.